I've notified these bloggers and the next thing I have to do is tell the person who nominated me seven things about myself. Here they are, Teddy! I love cooking, especially trying out new recipes. I'm grateful to Google for giving me new ideas! I completed a six-month course in Beginner's French, but didn't pursue it further and now I don't remember any of it. I mentally edit and correct everything I read. It's a hangover from my professional life. I have two siblings - brothers who are much younger to me. I have two post-graduate degrees - one in advertising and one in English literature. I am a bit of a shopaholic and only motherhood has put brakes on that habit! I cannot pass by a bakery without buying something. Cakes and muffins are my weakness. 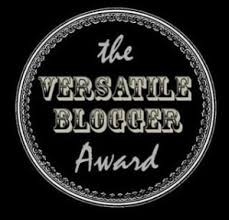 I look forward to getting to know my nominated bloggers better! congratulations Tarana.. it was nice read about you.